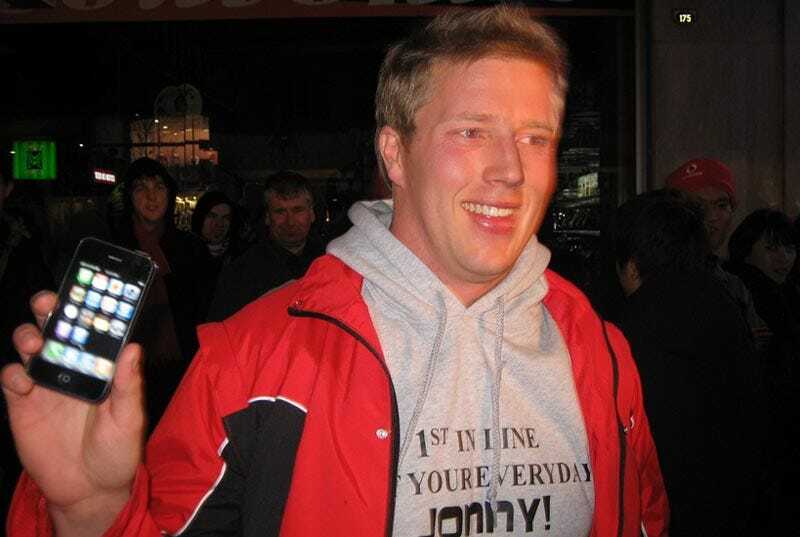 Congrats Jonny (aka New Zealand's Greg Packer). You got your iPhone. You were first. You win. You rule the world for, like, the next two minutes or so. Just remember, my mother buys an iPhone tomorrow. And not that she isn't cool or anything, but don't expect that phone to be a special VIP pass to the world's collection of strip clubs, or whatever.